Filling in Veterans Affairs Canada’s application for disability benefits can be a daunting affair, and done poorly, it can lengthen—or doom—approval. Each bit of information is necessary to identify you, confirm your military or RCMP service; to confirm your diagnosis and connect it to your service; and to ensure you get the benefits to which you are entitled. But the forms use language you’re not familiar with, and your answers have to jibe with guidelines and policies you may never read. And the decision is made by someone you will never meet at a location perhaps thousands of kilometres from where you live. The whole process is bureaucratic and can feel downright user unfriendly. This series of stories is meant to walk you through the application process, to show not only what information is needed, but why it is needed. There are directions to help you find VAC policies and guidelines so you can read them yourself, information on who to contact for advice and help, and a list of terms you might encounter during the application process. Although you can apply for benefits on your own, it might be in your best interests to get help from an expert. After all, you may only go through the process once in your life, but VAC disability benefits officers and professional Legion command service officers do it every day—and their help is free. 28-year career in administration with the Canadian Armed Forces. A Legion service officer knows what information VAC is looking for to support your specific claim, and how to word the answers to reflect that information. “There’s always help available from us in order to ensure the application provides as much of the information as possible that we need in order to make a decision,” said Colleen Soltermann, acting director general of centralized operations for VAC. Disability benefits officers are available at district offices or can be reached by calling VAC’s toll-free line. Expert advice ensures your forms will be filled completely and correctly and that the right support documents are included. Not only will this speed the decision, but these experts can advise you on other benefits you may not know about, but to which you are entitled. VAC handled more than 18,000 first applications in the past year, 70 per cent of which were approved. If your application is one of those rejected, experts from the Legion or Bureau of Pensions Advocates can guide you or represent you through the appeal process. Again, free of charge. Decisions about entitlement and amount of pensions or awards are based on criteria listed in VAC policy, guidelines and tables. We’ve included information so you can find these online. Reading the policies, guidelines and tables that apply to your condition will give you an understanding of what information is needed and the words you might include in answering questions on the application form. The first pages of Veterans Affairs Canada’s application for disability benefits form identifies you and your family members and confirms your service. If this is your first application, you’ll be asked to provide a photocopy of a document that proves your identity—such as a passport, driver’s licence or birth certificate. “We may have more than one person with the same name,” said Soltermann. And it prevents the confusion that would arise from having one person with two accounts, as when someone had started the process of applying for a disability pension or award in the past and forgotten about it or not realized an account had already been opened in their name. Proof of identity also prevents fraud. You are also asked to identify your spouse and dependent children and where each of you can be reached. This information ensures that your dependants receive benefits to which they are entitled. It also makes it easier for any survivor to apply for benefits should you die. There is room on the form for details about three children, but if you have more you can add another page. “Write on the back of the form, submit something additional—we take everything submitted,” said Soltermann. Providing date of enlistment and discharge, type of service and service or regimental number is important to identifying whether you are covered by the Pension Act or New Veterans Charter. This also provides information on continuity of service and makes it easier to search for the military medical records to support your claim. The information you provide in this statement will help VAC determine that you are entitled to benefits and the amount of pension or award. “This is key for us to get the information we need from the applicant; to get their version of what happened, how it’s related to their service and how it’s impacting them today,” said Soltermann. The first box on the page identifies the disability for which you are claiming benefits. If you have more than one disability, even if they are from the same event, you must fill out a separate application for each medical condition because VAC will assess each separately and there may be separate awards or pensions. Reading the material related to your condition on VAC’s Table of Disabilities will help you in determining what to apply for and how to answer questions on the form. It’s available online at http://www.veterans.gc.ca/eng/services/disability-benefits/benefits-determined/table-of-disabilities. Not all conditions that may qualify for benefits are listed; seek advice of a VAC disability benefits officer or Legion command service officer if you have a condition that isn’t listed. 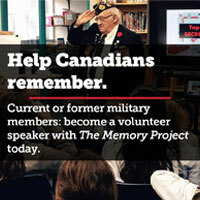 The second box asks how your condition or disability is linked to your military or RCMP service. The box may be too small to list all the information needed, so you may need to provide an extra page. I was in the infantry for 12 years, and was required to march up to 80 kilometres wearing a pack weighing 44 kilograms once a week. I was in logistics support for 10 years, and had to move 25- to 35-kilogram boxes around for two hours, five days a week. This required twisting and kneeling while carrying, pushing or pulling that weight. In order to maintain physical fitness to meet universality of service requirements, I have been running in and training for marathons for 15 years. I average 70 kilometres every week. I repaired aircraft engines for 20 years and was exposed to noises exceeding 120 decibels every day as jets took off and landed. In the early years we were not issued ear protection. During training I twisted my knee while climbing a wall on the obstacle course and went for treatment and rehabilitation on base in 1997. I continued to have treatment and therapy through my service. The knee hurts all the time now, and I have to take Tylenol every day and use a knee brace. My release audiogram showed I’d lost some hearing, but I didn’t see a doctor then. Over the last five years my hearing has gotten worse, so I saw my doctor in June 2013 and had another test. The information in Box 4 will be used to determine the impact of the disability, how it has affected you personally and professionally. This is your chance to tell VAC how your medical condition affects your daily life. I need help to pull on my socks. I need my wife to help me in and out of the tub and in and out of bed. I can’t use the vacuum cleaner any more, mop the floor or weed the garden due to pain and stiffness. I’ve had to sleep on the couch in the living room because I can’t climb the stairs to the bedroom. My brain is so fuzzy I’ve had to give up reading novels because I can’t follow the plot. I used to do my own income taxes, but have to hire someone else to do it because I just can’t follow the forms. My fingers are so stiff I can’t play my guitar any more—I’ve been playing since I was a kid. I have been stuck in the house for months because I can’t drive or take public transit to see friends or get to church. Box 5 is for listing doctors and specialists, and where they can be contacted, who can provide information about the diagnosis and any tests and examinations conducted in reaching that diagnosis. VAC must see a diagnosis of the condition by a medical doctor, clinical psychologist or audiologist, supported by findings of physical examinations and test results. It does not accept diagnoses from other health professionals such as physiotherapists, occupational therapists or chiropractors, so you might be asked see a medical doctor for a diagnosis or to have more tests performed. You can list doctors and specialists you are seeing currently or recently as well as those you’ve seen for the condition in the past. “It may be 10 years down the road,” said Soltermann, but the doctor you saw initially can confirm you came in with, say, a knee injury and that information can be used as evidence for a claim for osteoarthritis today related to military service back then. This section is about how your information will be protected and shared. It outlines your rights to access personal information from the department and advises that VAC may share your information in the department to decide if you are eligible for additional benefits or services. It also advises information on benefits awarded will be shared with the Canadian Armed Forces or RCMP. When you sign, you are indicating that to your knowledge the information you’ve provided is accurate and complete, and that you understand the provisions for sharing and keeping your information private. Your signature on this form indicates you have read and understand VAC has authority to collect your service and health records, which will be used in deciding whether or not you are entitled to disability benefits. Your signature also provides consent to collect medical information from your doctor or other health care provider or to collect information about other compensation you may be receiving, such as Workers’ Compensation. Once VAC has that permission, it wants to know what medical documents exist that relate to your claim and where it can get them. VAC will contact the Department of National Defence and RCMP directly for medical records of still serving members. Veterans are asked to give specific details of information VAC is authorized to collect and where to collect it. “This is information about your disability or medical condition since you left the service,” said Finlay. What VAC needs is test results and findings relating to your disability claim from each doctor, specialist, clinic or hospital involved in diagnosing your condition. In most cases all this information is available from your family doctor, who usually has a file with all your medical records. For example, someone applying for benefits for a disability to their left knee might fill in the box authorizing the family doctor to share with VAC all test results, examination findings, MRIs and X-rays concerning the disability or condition for which you are making a claim. The final pages of the application form offer guidance in filling in the application and other support documents. You are reminded to fill out a Quality of Life Questionnaire, available for download at http://www.veterans.gc.ca/eng/forms/document/43. The answers to the seven questions on that form will help VAC decide how your condition affects your ability to take part in the activities of everyday life. It also asks whether changes to your activities are due entirely to this medical condition, or whether other health conditions contribute.